My daughter has been very curious about why everyone is starting to wear a red poppy this time of year. She mentioned it to me after coming home from a subway ride with her grandma one day. It was a very good question. Since she is only 3 and a half years old, I initially struggled to explain the significance behind this symbolic flower. So I summed it up to her like this "Canada is a very beautiful country, and we are so lucky to live in this country. There are many men and women who worked very very hard to protect our country and to make our country safe to live in. It is because of these brave men and women that we are able to live in such a happy place like Canada. We wear a red poppy to say thank you to them." My daughter nodded her head and said "I am thankful for the men and women. I love Canada." We decided to honour the men and women who served our country by creating a Remembrance Day wreath to put up in our house. 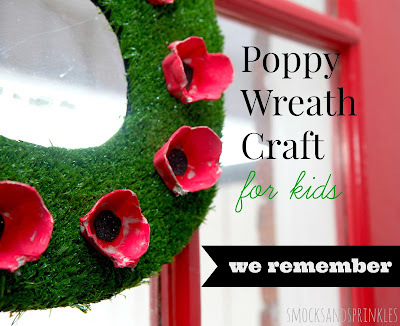 It's a really easy craft to create with your children and has a serious and important meaning. 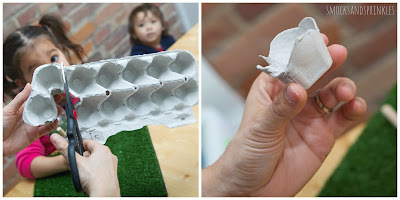 Cut out "poppies" from the egg cartons. 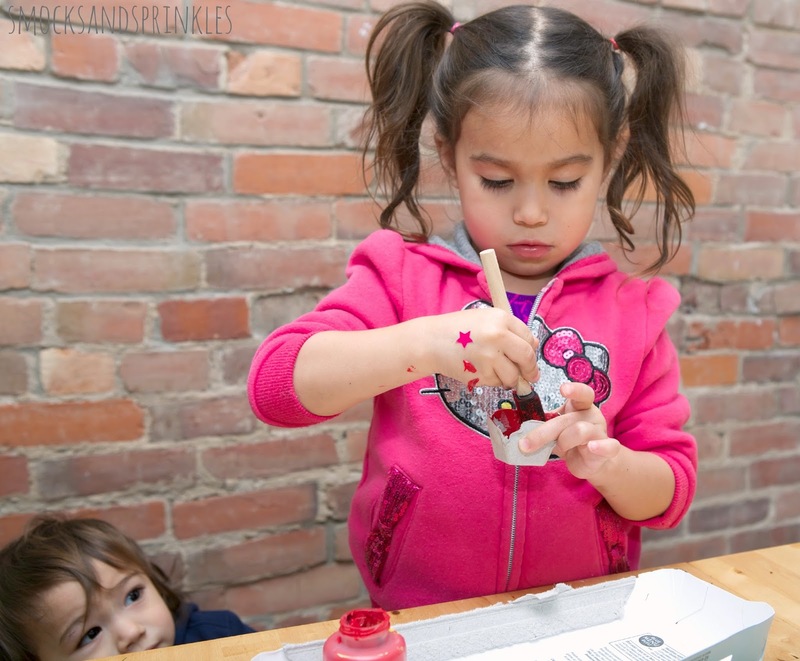 Have your child paint them red and allow to dry. Little brother really wanted to help out with this craft! Cut out a wreath shape from the grass tile or paper plate (if using a white paper plate, feel free to paint it green). If using a round paper plate simply cut out a hole in the middle! 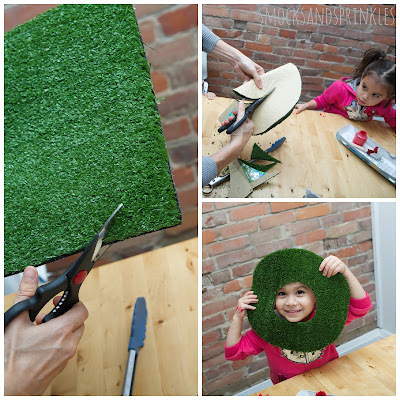 Have your child glue black paper circles (or black felt, pompoms, buttons etc.) into the center of each painted poppy. 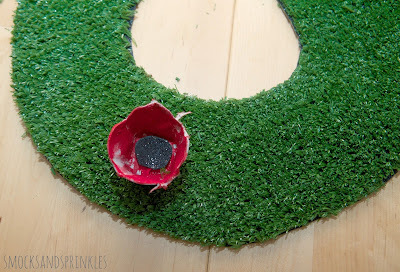 If you want to keep things simple, just use black paint or a black marker to make the centers of the poppies. 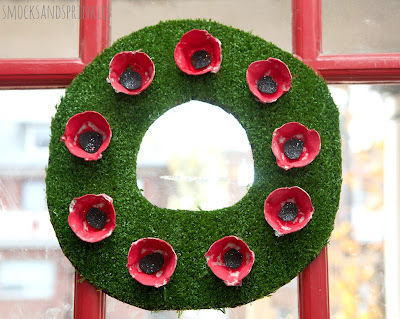 Using a glue gun, adhere the poppies around wreath (space out evenly). Hang proudly and take the time to remember. We will never forget the heroes who served our country and we are forever grateful. The beer selection at this place was great and rotates often. Everyone who works at event space NYC makes you feel welcome. They remember your favorite drink and you will be glad to tweet about them.